Many traditions in Btitain are similar to those in the United States because such traditions originated in Britian and were brought to the United States by immigrants. The tradition of sending Christmas greeting cards started in England and is still popular at Christmas, as well as the tradition of neighbourhood carolling on Christmas Eve. Children also hang stockings on Christmas Eve in anticipation of Santa Claus filling them with Christmas gifts or treats. The holly, ivy and mistletoe are also used a lot in Christmas decorations. In England, the traditional Christmas Dinner is roast turkey, goose or chicken with stuffing, vegetables and roast potatoes. Dessert consists of the British or Christmas pudding with brandy sauce. A rich, fruit-filled Christmas cake may also be enjoyed later in the day. A tradition of pulling Christmas crackers also goes with the serving of food on Christmas Day. A cracker is a paper tube that contains a party hat, riddle, toy or trinket, and is brightly coloured and twisted at both ends. It gives out a crack as the contents pop out when it is pulled at each end. 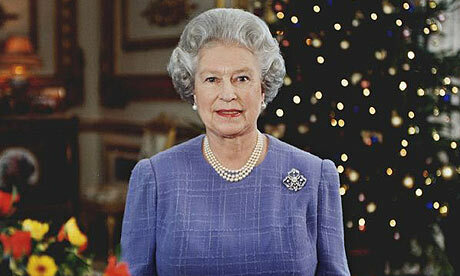 Also on Christmas afternoon, the Queen broadcasts a Christmas message to the nation, which is heard on radio and television. The day after Christmas is also a holiday that is known as Boxing Day. The family love the site! So much fun, and interesting stuff, for us all to look at in the run-up to Christmas. Our youngest has to check the countdown each day!